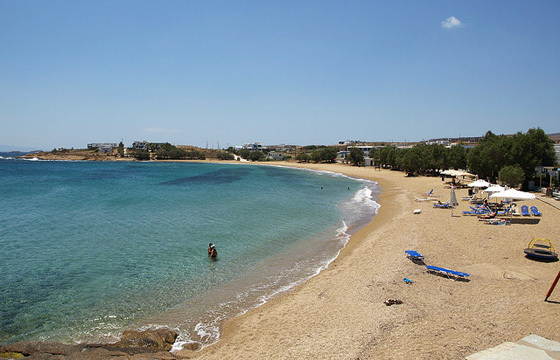 Logaras Parosis located in the south part of the island, 18 km away from the island’s capital, Parikia. The area of Logaras is situated just 500 meters from the harbor of Piso Livadi. 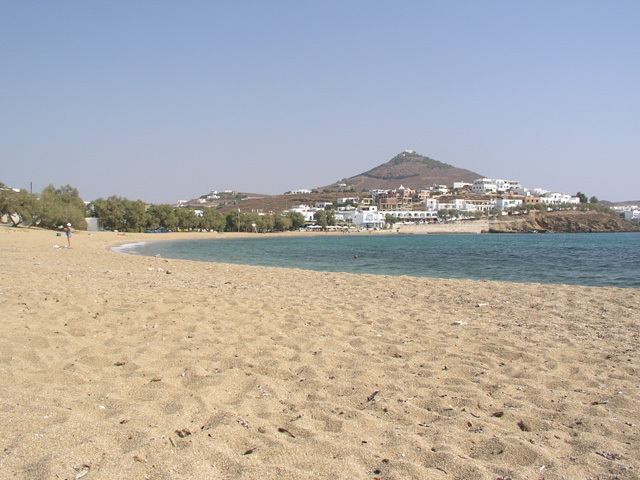 The area of Logaras in Paros Island has a beautiful long sandy beach. The settlement surrounds the nice and scenic beach, making it a pole of attraction for many people. It counts only a few permanent residents. You have a lot of alternatives to choose from for accommodation, both within the settlement and in the nearby beaches of the area. Several taverns and restaurants will offer you good food and you will have the chance to taste some of the delicacies of the local cooking. If you feel like wandering around, you may walk for a few minutes, up to the nearby low hill above the settlement, to see the small church of Aghios Georgios Thalassites (St. George of the Sea). It is an old church dated in the 13th century, with nice frescoes, which unfortunately are not well preserved. You will enjoy swimming at the nice and scenic beach in front of the settlement. You may also go to the neighboring beaches of Punta and Messada. Punta is a pole of attraction for young people as, apart from the nice sea and sun, they enjoy cool refreshments, lively music and fun, offered by the beach bar working there. 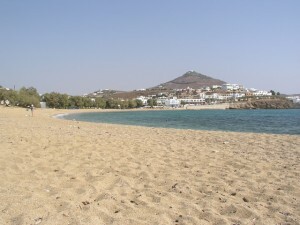 Logaras Beach Paros.